Media and Terrorism - B. 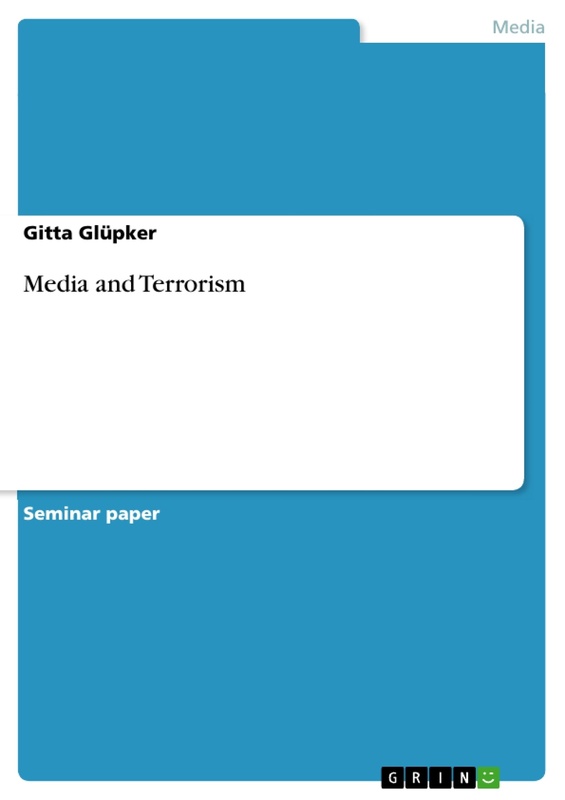 A. Gitta Glüpker - Presentation (Elaboration) - Communications - Media and Politics, Politic Communications - Publish your bachelor's or master's thesis, dissertation, term paper or essay. Terrorism and Transnational Organized Crime - Claudia Müller - Term Paper (Advanced seminar) - Politics - International Politics - Topic: Peace and Conflict Studies, Security - Publish your bachelor's or master's thesis, dissertation, term paper or essay.